Swag…..no not “The most useless word in the English language.” as defined by the UrbanDictionary. But SWAG (Stuff We All Get) is what I’m talking about! 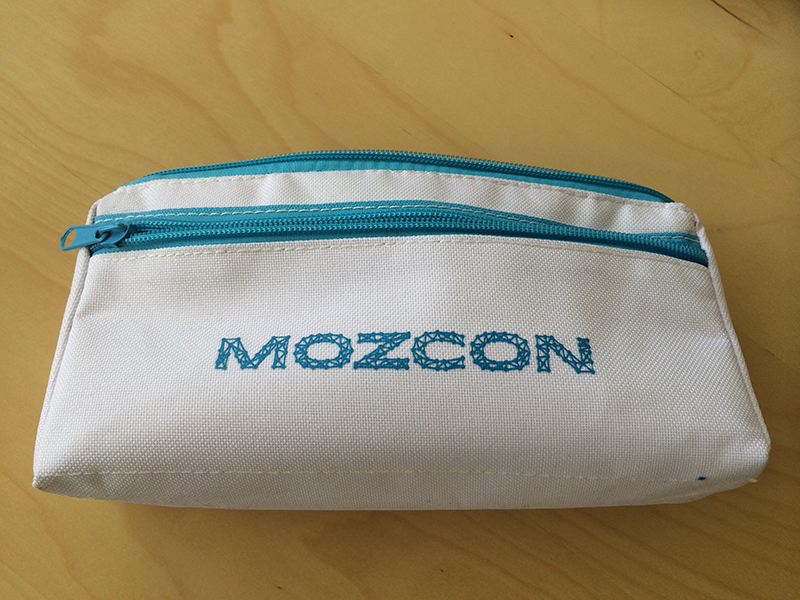 I did my best to gather every piece of SWAG from MozCon as I could. Why? 1. because why not? And 2. because I wanted to write this post. Pros: Comfortable and a unique color. I’ll gladly sport this shirt any time. 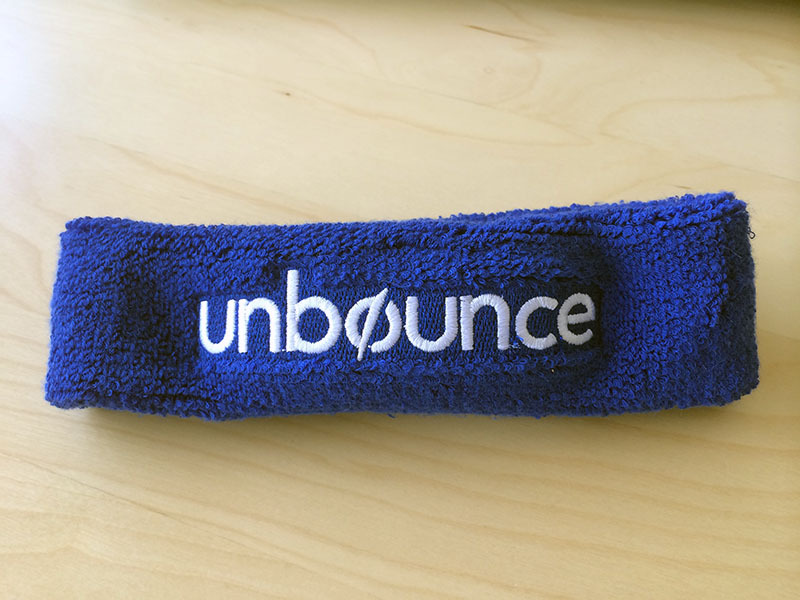 Pros: Unbounce was very smart with these headband sweatbands. 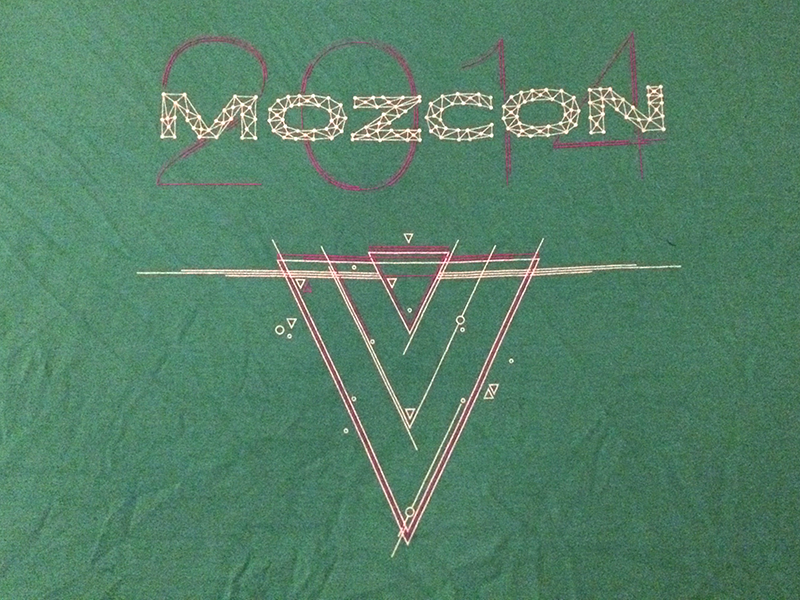 They had a ping pong table at MozCon, so naturally people would play…and sweat. Not only that, at the #MozCrawl they had a shuffleboard tournament (Tony & I played, but lost in round 2). They had us covered! 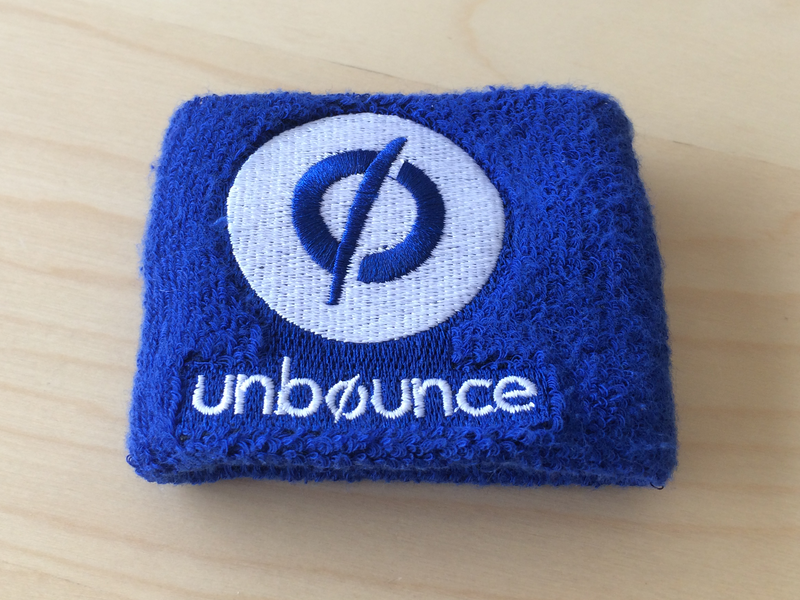 Pros: Unbounce was very smart with these wristband sweatbands. 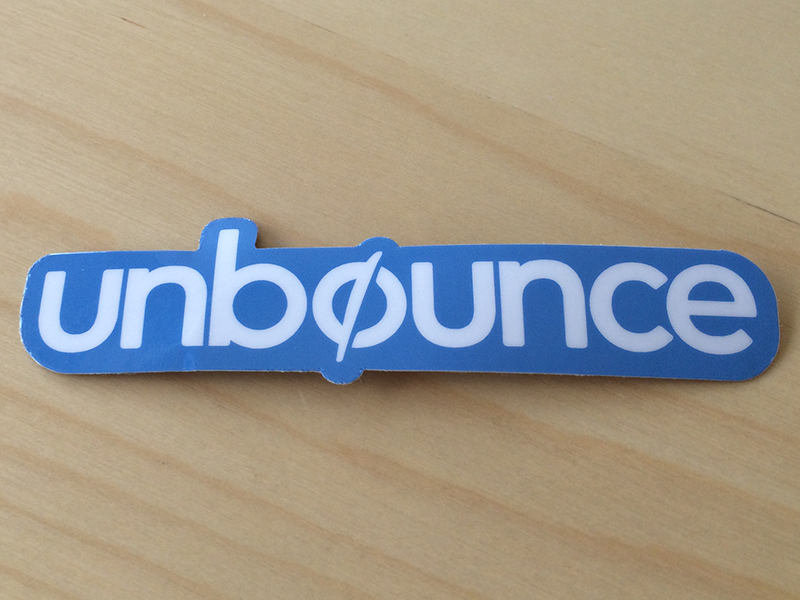 They had a ping pong table at MozCon, so naturally people would play…and sweat. Not only that, at the #MozCrawl they had a shuffleboard tournament (Tony & I played, but lost in round 2). They had us covered! 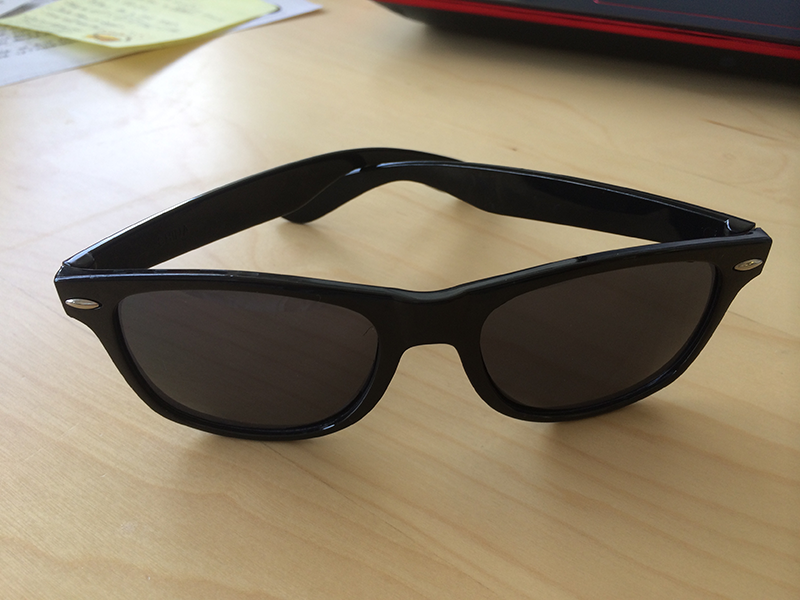 Pros: I like cheap sunglasses, so these are definitely going to be my new go to pair. I like that they’re all black. Cons: Wish they just used their logo instead of full name on the ear pieces, but that’s a very minor con for these. Cons: I likely won’t wear these. They’re more for Optimizely company outings or for people running sponsor tables at conferences than they are for the rest of us. SWAG: Sporkife (Spoon/Fork/Knife Combo) This gets my award for “Most Unique SWAG”! Cons: My only con is that I wish I would have grabbed a couple more! 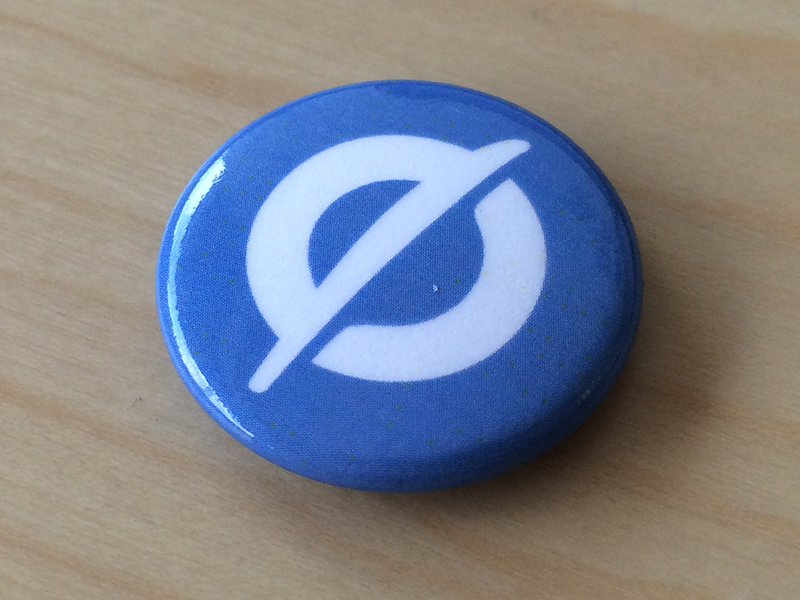 Pros: Small, can keep as a collectible to show that I went to MozCon. Also my son loves pins. Pros: Small, son loves pins. 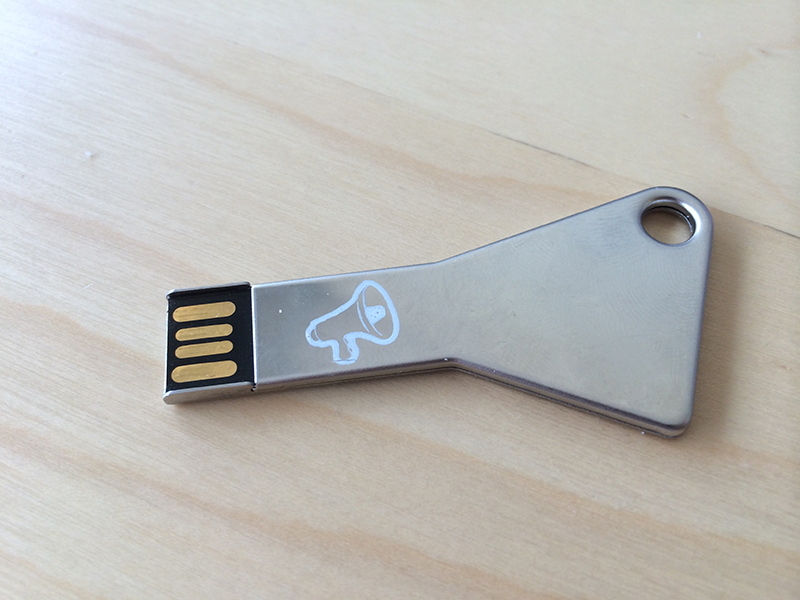 Pros: It was handy for SWAG. Cons: I’m not likely to use this. Although now that I think about it, it might make a good travel dop kit…hmm. 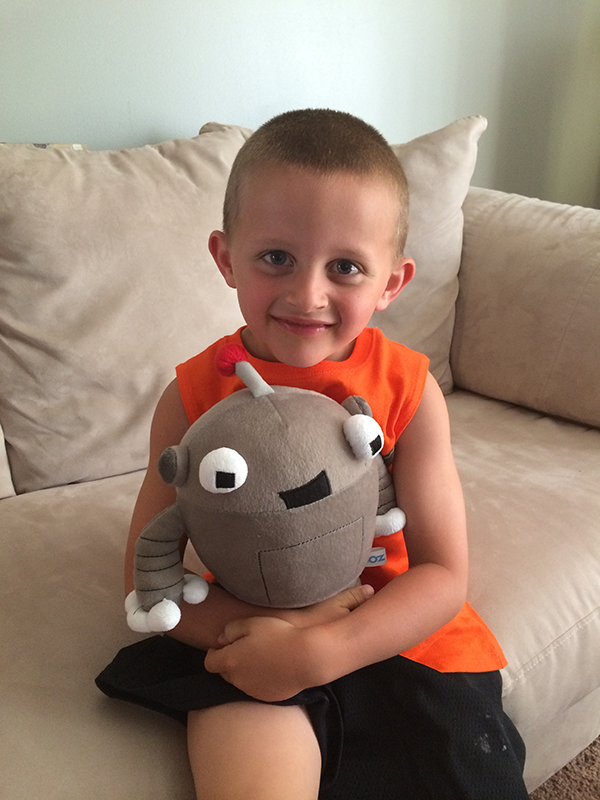 Pros: Everyone loves Roger, so it’s fun to have our own plush Roger to take home! My son loves him. Pros: I love pens at conferences, cause I always forget mine. This one was unique and smart. They had a question in the window, and to find the answer you had to go to their website. Clever! Pros: Clean hands at all times is always good. 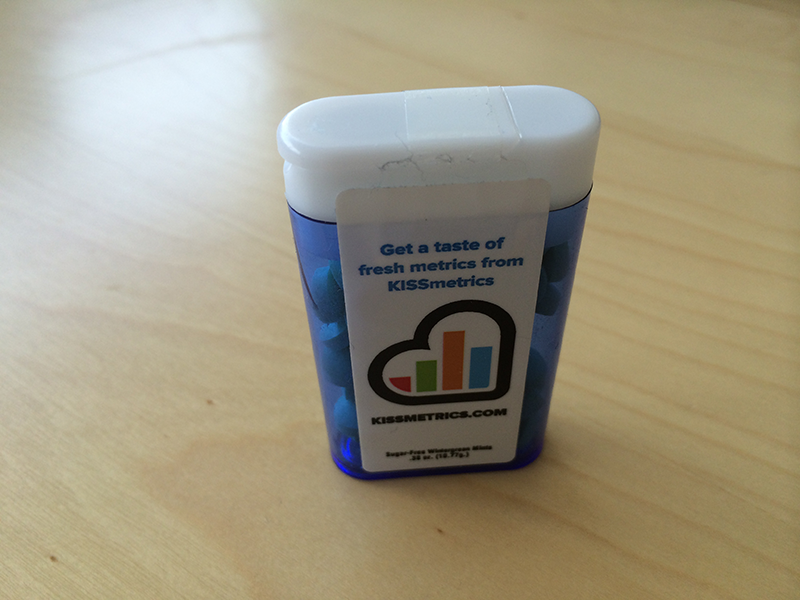 Pros: If used, it’ll be easy to tell your checked baggage is yours at the airport. Good conversation starter. Cons: Someone may want to steal it cause it’s so awesome. Pros: A nice pick me up during the conference. Cons: No cons, but I didn’t drink mine, as they had enough Coke and coffee to get people through. 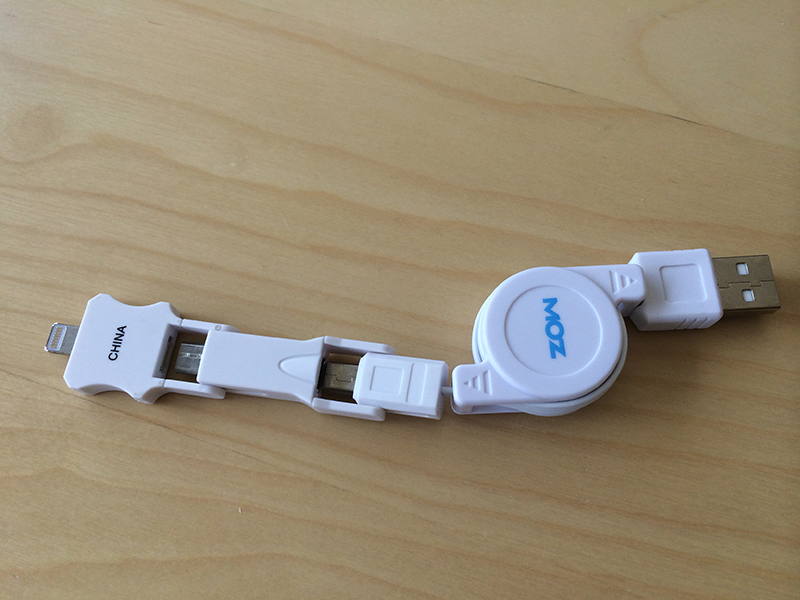 Pros: Has a connector for just about every mobile device you can think of. 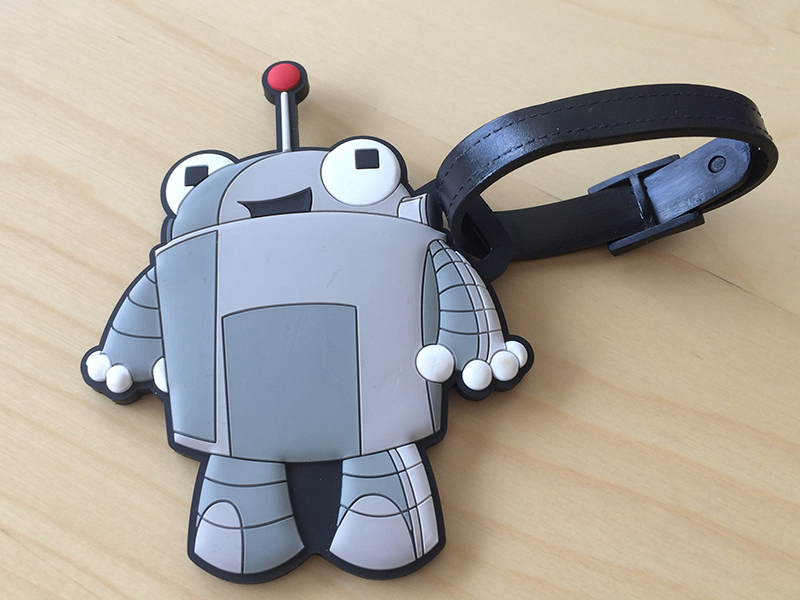 It’s retractable and small, easily fits into a travel kit. Cons: The retractable mechanism isn’t the greatest. Pros: It’s such a neat, multifunctional item! You can think of many different uses for it, and it looks good. Pros: Small, and my son loves stickers. 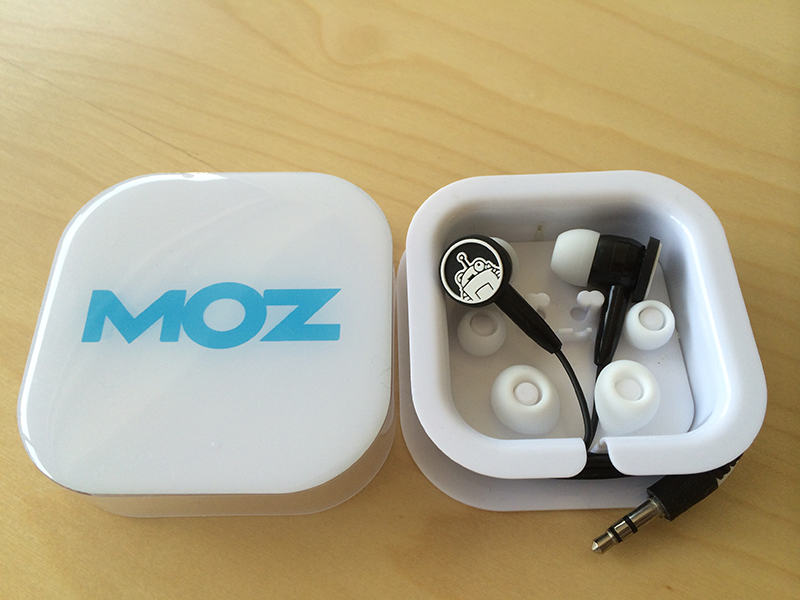 Pros: They actually sound decent, and they have Roger on them! Cons: They feel cheap, which I’m sure they were, but we’ll see how well they last. Pros: Nice shirt, sponsor name doesn’t stick out too much so it’ll be easy to wear anywhere without being asked where I got it. 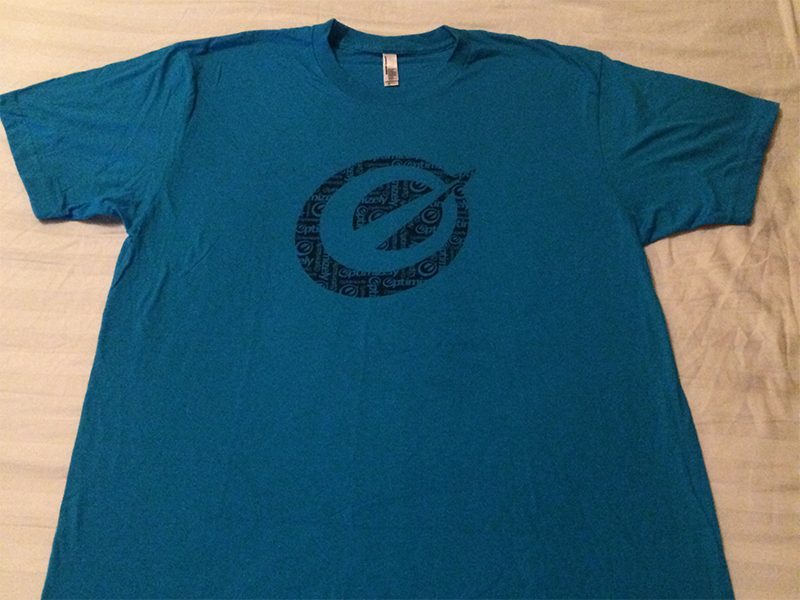 Pros: Nice shirt, my wife likes it as her new workout shirt. 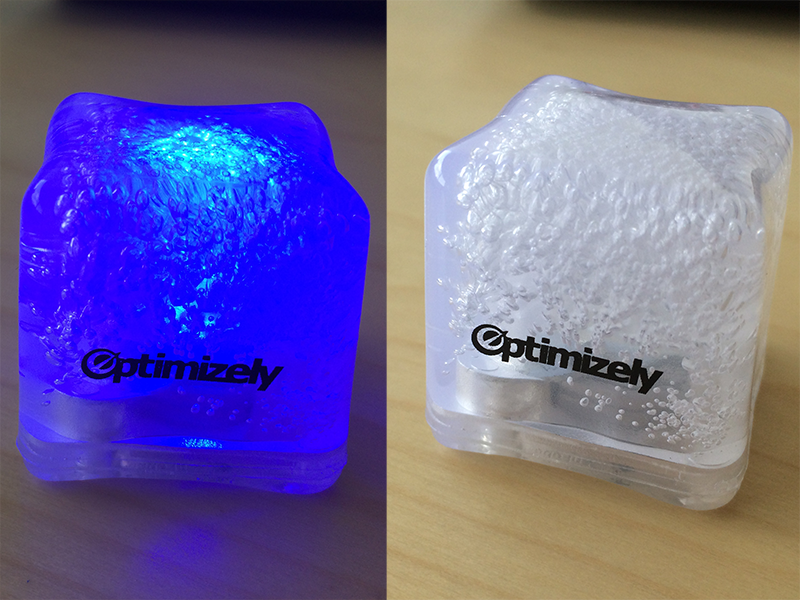 Pros: Keeps my Coke Zero colder longer and keeps the drips off the desk. Pros: Keeps my breathe minty fresh! Pros: A unique way to display your brand, and make my drink look cool at the same time. Cons: It doesn’t actually freeze. Pros: Keeps my breathe minty fresh. Cons: There were only 3 mints in the bag. Pros: $30 book for free! 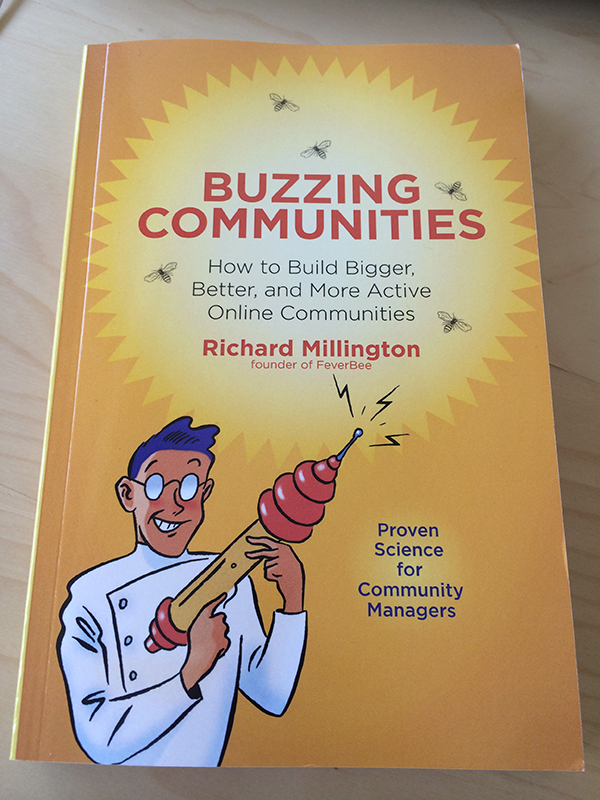 I haven’t read it yet but Richard Millington gave a great presentation, it’s only a short time before I’ll read it. 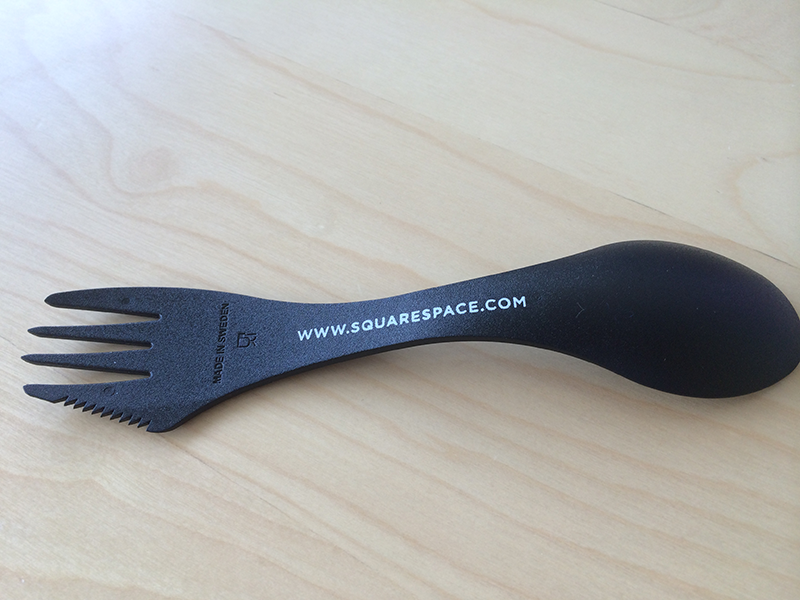 Pros: I was in need of a notepad, and Squarespace provided! It’s small so it was easy to just place it in my back pocket while I walked around during the breaks. Pros: I like that it had 2 clips so my name would always face the front. Pros: 8GB of storage, they included some whitepapers and case studies on it. I’ll get good use out of this. Cons: Think some people were concerned about the contacts being exposed, but I don’t think that’ll be an issue. No cons. 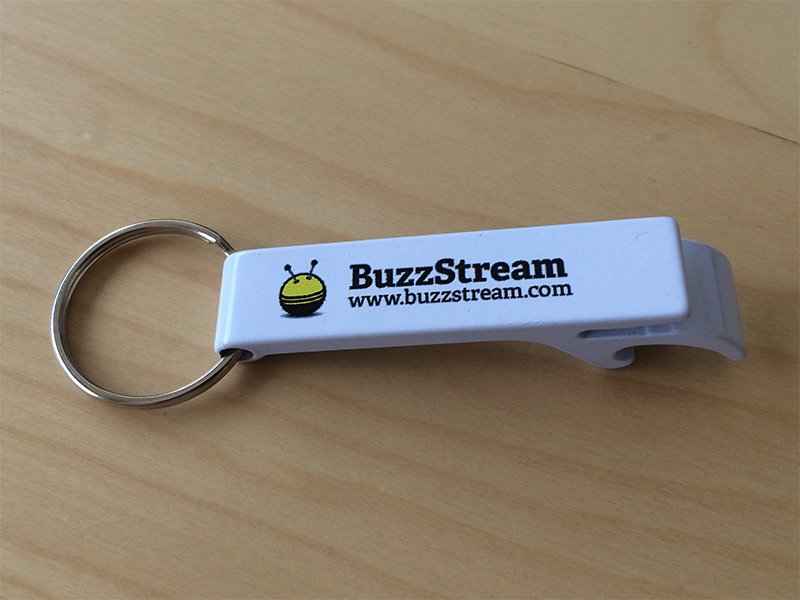 Pros: It’s a bottle opener AND and can (pop tab) opener! Will save my fingers some pain. 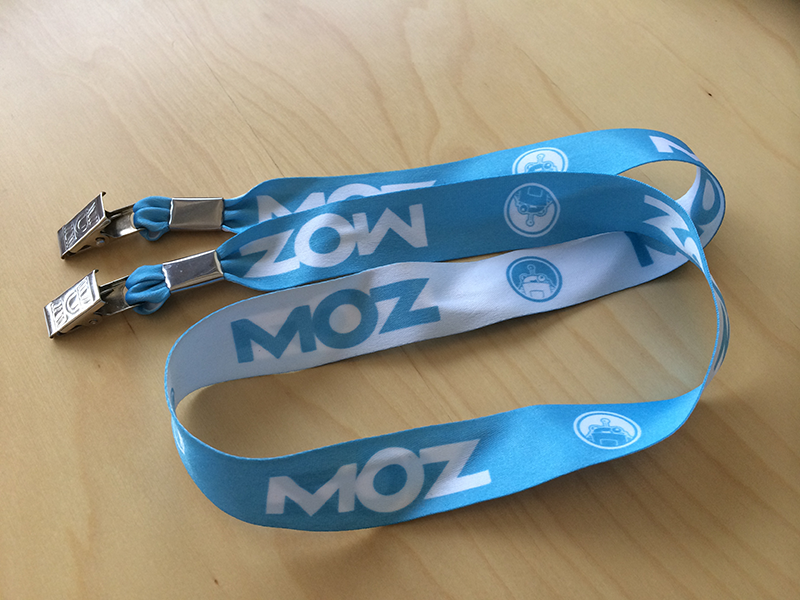 MozCon was a treasure trove for SWAG! 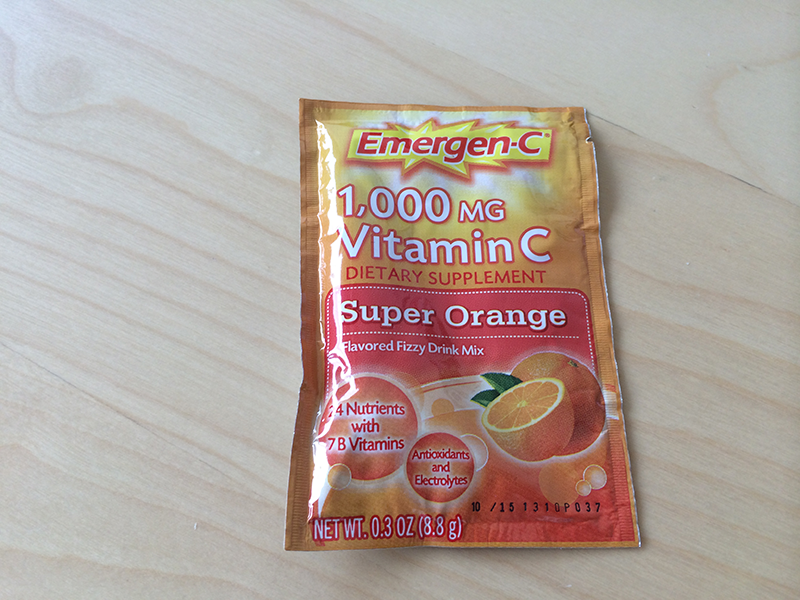 I think I got just about everything I could have needed to get me through the conference and to remember. But I would be remiss if I did not include a couple tips for companies reading this and thinking about sponsoring an event or conference in the future. Make sure you go into the event well prepared for the swarms of SWAGglers (I just made that word up). 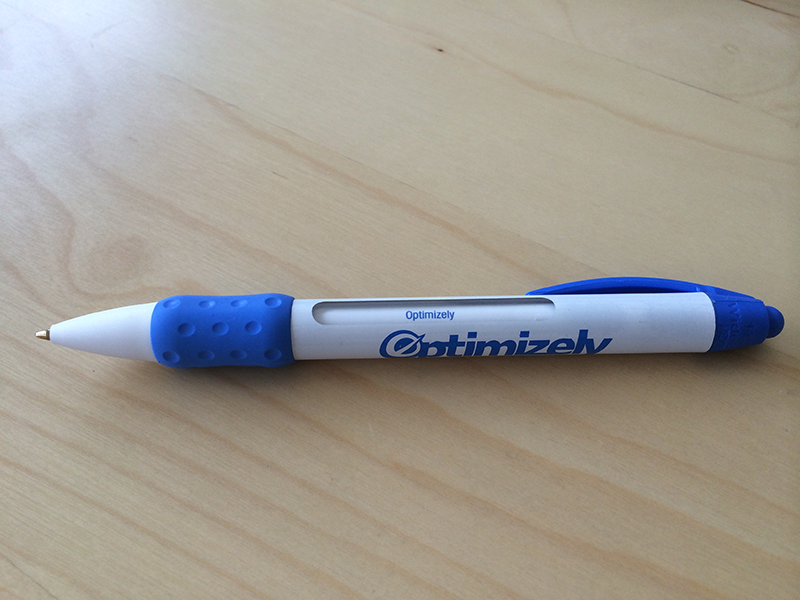 Pen – If you’re going to provide pens, don’t provide crappy ones. 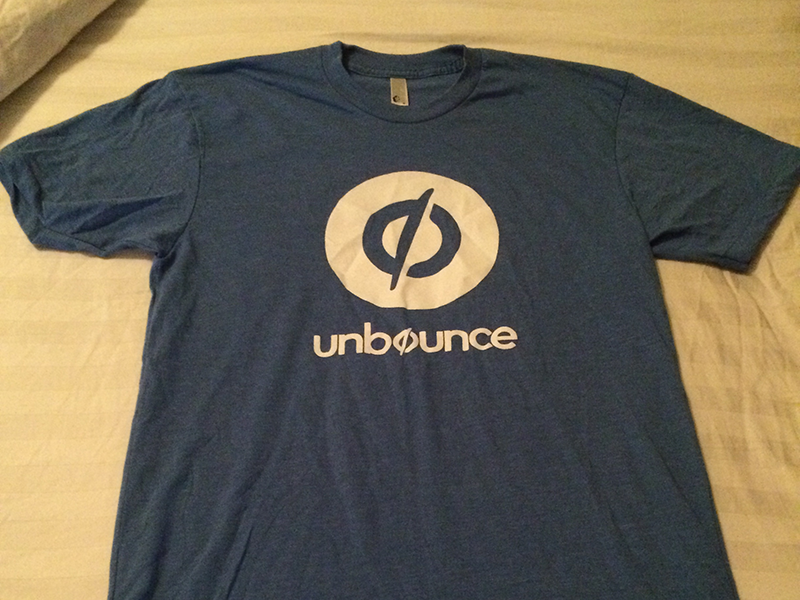 Do something unique like Optimizely did. They made it very hard NOT to go to their website after playing with their pen. I liked it. 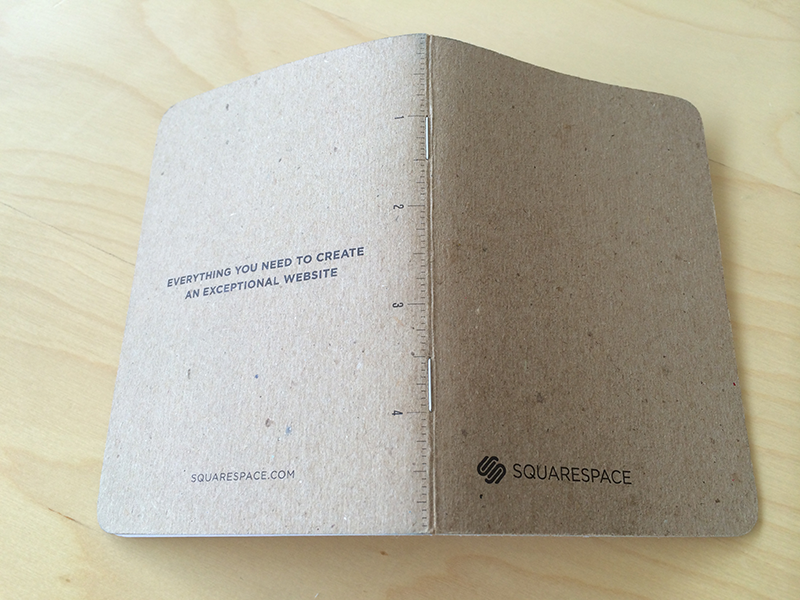 Notepad – Squarespace did it right, they gave away small notepads. So I was able to take notes, and store the thing in my pocket during the breaks. Yes, the list is short. 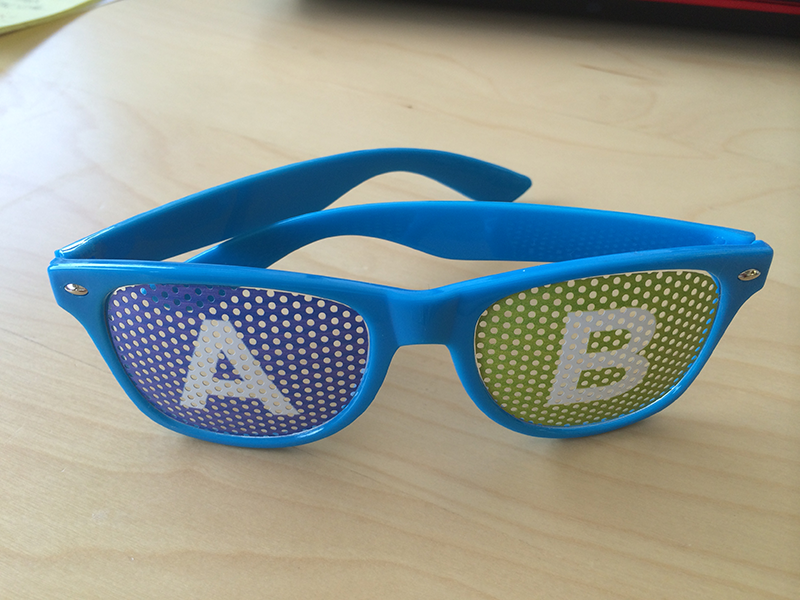 But if you plan on sponsoring an event, I would definitely bring both of these items to give away. People are going to forget pens and paper to write things down on. You could very well be their only option, and now they have your brand in their hand for the whole event! Coffe Mugs – even if they don’t drink coffee, coffee mugs are a great place to store pens and other small items that clutter up a desk. Mousepad – I’ve still got my SMX Advanced mousepad from 2011…because no other company has provided me with a new one at a conference. I look at my mousepad everyday. Wouldn’t that be a great place for your logo? 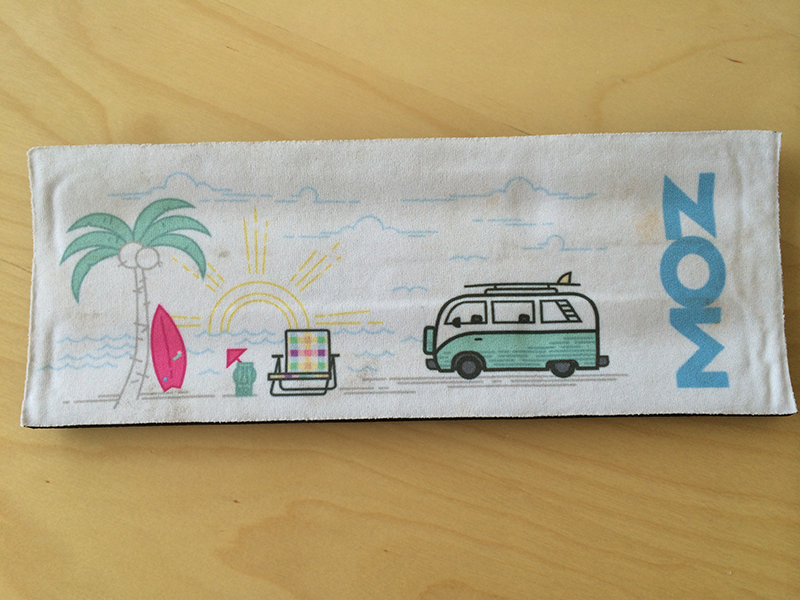 Coaster – Same with the mousepad. I use them everyday on my desk. 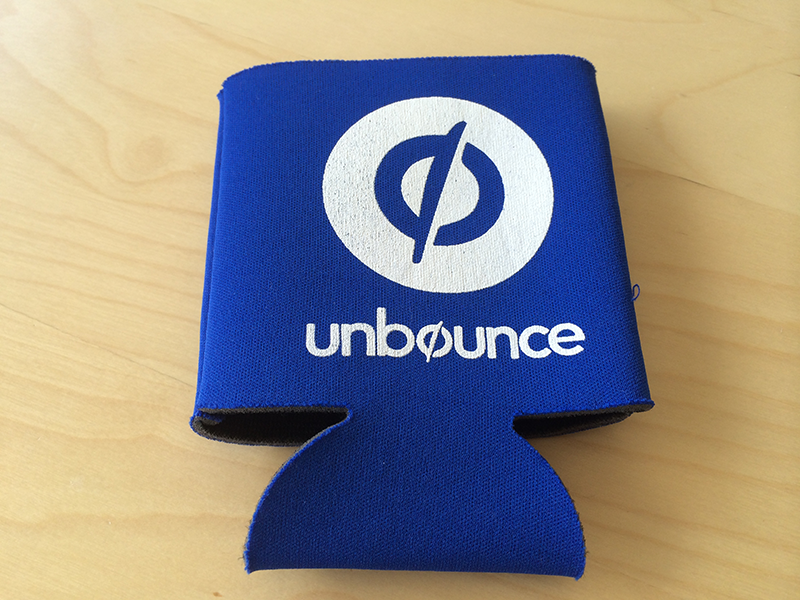 No one wants a water ring on their desk, so give them coasters with your brand on them! Notepads & Pens – This was covered in the Must Have section above. Water Bottles – Seems there’s always a few people at conferences who just love a good glass of water to drink. Give them one! Make it a nicer one and they’ll use it everywhere. Rubik’s Cube – This is more niche, but let’s face it. Everyone in this industry is a little nerd at heart. We all love Rubik’s cubes even if we can’t solve them (for the record, I can). 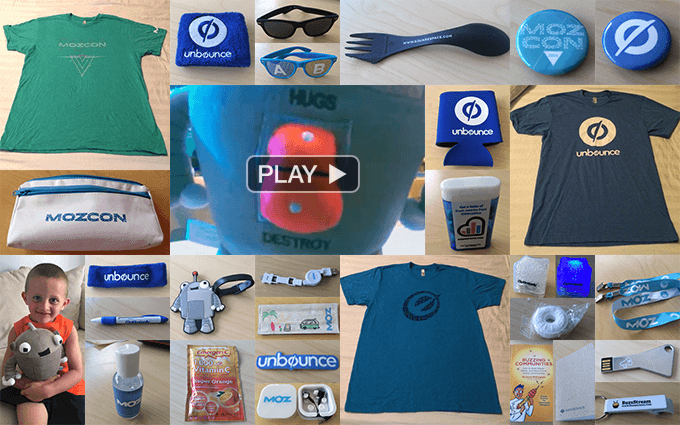 When I went to the MIMA Summit in 2011, one of the sponsors provided them and I thought "oh what a unique and fun thing to give away!" That’s all I know on the subject of SWAG. 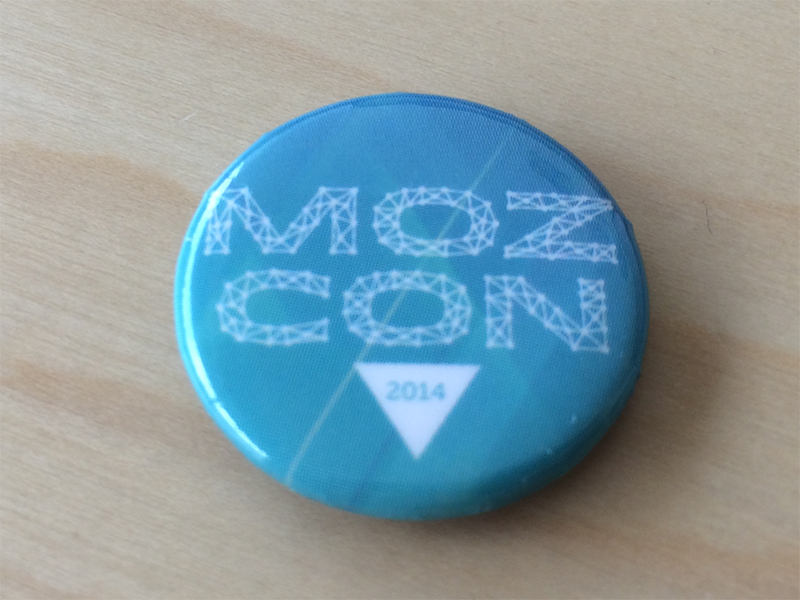 If you’ve got SWAG ideas of your own, or any comments on the MozCon 2014 SWAG, leave a message below! Thanks, Chrissi! A hydrated crowd is a happy crowd!